Last year, the event grew out of the story "Sleeping With Bread" (see below) about how much it helped orphaned children to have a small loaf of bread to sleep with to help with their tremendous fear that they wouldn't have food the next day. It touched my heart so deeply that, when I read the newspaper article about the extreme food insecurity issues in our own backyard, I couldn't let it go. People (and especially children) must have good food to thrive. 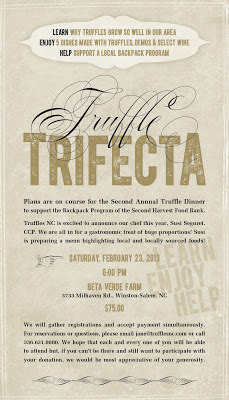 I simply had to do something, so my annual truffle dinner idea was born. 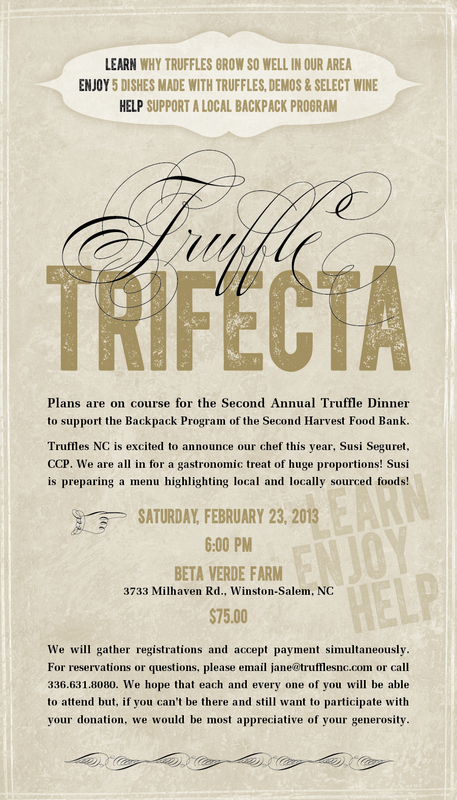 To ensure our continued commitment, Truffles NC pledged to donate a percentage of our total sales for 2012 to this program and we now hope it will be an annual event for decades to come. This problem isn't going away. When we sleep with bread we are empowered to choose our own way under any circumstances. We become like the men and women in the concentration camps who could give others the bread of life they held.